Samsung is a multinational South Korean company which is famous for its wide variety of durable and high quality consumer products. Samsung smartphones is a division of the copmany tha produces Android smartphones under the brand name 'Galaxy.' 2016 came with the Galaxy S7 and Galaxy S7 Edge and happened to me one of the most loved smartphones of this year. The Samsung Galaxy S8 Plus is the next duo from the flagship department of the company. The phone was launched on March 28, 2017 along with Samsung Galaxy S8. Both the phone models share the same design and specifications, th S8 Plus being a little larger. Let's check out the details about the Samsung Galaxy S8 Plus below with detailed specifications and price. As far as the design of the Samsung Galaxy S8 Plus is concerned, the S8 Plus has a dual-edge curved display, dubbed as the 'infinity' display by Samsung. Samsung Galaxy series design has always evolved and the device sports a QHD+ super AMOLED display with 1440 x 2560 pixel resolution. TheSamsung Galaxy S8 Plus has a 6.2 inches wide screen with Gorilla Glass Protection. The pixel density correspoins to roughly 529ppi, which is amazingly beautiful for sunlight legibility. The phone shares its design completely with the S8, and is only a larger variant. 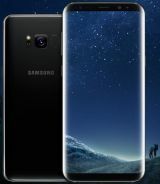 There are power and volume buttons one side, the Bixby button on the other, a camera module with a fingerprint sensor on the back, and the front camera beside the speaer grill on the top the display. There are no physical buttons in the phone. Other than that, there will be many color options to choose from - black, gray, gold, silver, pink and blue. Samsung Galaxy S8 Plus is powered by Qualcomm MSM8998 Snapdragon 835 chipset in the US & China versions, and the Exynos 8895 Octa-core chipset EMEA for the global version. Both the chipset employ octa-core processing for performance. The phone ships with Android v7.1 Nougat out-of-the-box and will receive further updates, especially to Android v8.0 Oreo. For graphics processing the global model has the Mali G71-MP20 GPU and the US & China model has Adreno 540 GPU. Samsung Galaxy S8 Plus has all the major sensors like Fingerprint, Accelerometer, Gyro, Proximity, Compass, Barometer, etc. Like previous versions of Galaxy Series, the new phone will have Samsung Pay too, which is Visa and MasterCard certified. The phone comes in two memory variants 4GB RAM 64GB storage and 6GB RAM and 128GB storage. In both the variants, the storage be expanded by upto 256GB through a dedicated microSD card slot. Another feature that we love about Galaxy phones are they are IP68 certified; this means that the phone is dust proof and water resistant over 1.5 meters and 30 minutes. Samsung Galaxy phones are always popular for their camera performance, and it gets better in the Galaxy S8 Plus model. The camera has a 12 MP, 1/2.5" sensor with a lens aperture f/1.7 and 26mm focal lenth. The camera has PDAF capability along with 4-axis OIS. The camera can shoot videos upto 4k resolution, 1080p@60fps and FHD slow-motion videos at 1080p@120fps resolutions. Other features include Panorama, slow motion, HDR, face/smile detection, geo-tagging food mode, depth of field etc. The front camera has a 8MP sensor with a lens aperture of f/1.7 as well with AF abilities and can shoot videos at 1440p@30fps resolution. The front camera is capable of dual video call, Auto HDR apart from the common modes present in mobile cameras. The device has a buil-in multimedia player, supports MP3 & WAV ringtones, supports all popular multimedia formats such asMP4, DivX, XviD, H.265, MP3, WAV, eAAC+, FLAC player, FLV, WMV, AVI etc. There is a 3.5mm jack in the phone, but no FM radio. Samsung Galaxy S8 plus has a non-removable 3500mAh Li-ion battery. The battery easily lasts through the day, even with a fairly heavy usage. The standby time for the battery is approx. 300hours on 3G networks. Samsung Galaxy S8 Plus will have dual-sim slots, and both will support Nano-SIM. For wireless connectivity, the phones comes with Wi-Fi 802.11, a/b/g/n/ ac, Bluetooth v5.0 w/ A2DP, GPS w/A-GPS, GLONASS, NFC, and wifi hotspot. For wired connectivity the phone has a USB-C v1.0 jack that works as the charging post as well as the OTG port. On the sensors part, the phone will has and iris scanner, a fingerprint sensor(rear-mounted), Accelerometer, Proximity, gyroscopic sensor, digital compass, barometer, heart rate sensor, SpO2 (oxygen level checker) and an ambient light sensor. What kind of display can be expected in the upcoming Samsung Galaxy S8 Plus? According to the online rumours, the phone will come with a 6.2 inch super AMOLED capacitive touchscreen that would provide a screen resolution of 1440 x 2560 pixels. In how many color variants would the phone be launched? The phone will come in five color variants i.e. Black, White, Gold, Silver and Pink Gold. Will the display be protected by a toughened glass? The display is also expected to be provided with a Corning Gorilla Glass 5 protection. Will the phone provide 3D Touch display? Yes, it is rumoured that the phone would provide 3D Touch display support. What kind of processor would be provided in the Galaxy S8 Plus? According to the online rumours, the phone is expected to come with an Octa-core (4x2.45 GHz Kryo & 4x1.9GHz Kryo) processor that would be backed by Qualcomm MSM8998 Snapdragon 835 chipset. What kind of OS will be used in the phone? Will it feature the latest version of the OS? The phone is expected to run on Android platform and we hope it would run on the latest Android version i.e. Nougat. What kind of certification would be provided in the phone? The phone is expected to come with IP68 certification i.e. the phone will be dust proof and water resistant over 1.5 meter and 30 minutes. What kind of battery would be provided in the phone? It is believed that the phone will be powered by a 3500 mAh Li-Ion battery. Will the battery provided in the phone be removable? No, the battery provided in the phone is expected to be non-removable. What kind of connectivity options would be provided in the phone? The connectivity options of the phone would include Wi-Fi 802.11, a/ac/b/g/n/n 5GHz, Wi-Fi Direct, Mobile Hotspot, Bluetooth version 4.2, A-GPS, GLONASS, NFC, microUSB version 3.1 and Type-C 1.0 reversible connector. How much internal storage would be provided in the phone? Would we be able to expand the internal storage of the phone? The phone is expected to come with internal storage of 64/128GB and it's believed that the internal storage could be increased up to 2TB using a microSD card. Will the Samsung Galaxy S8 Plus support 4G/LTE networks? Yes, the Samsung Galaxy S8 Plus will support 4G/LTE networks. What kind of cameras would be provided in the upcoming phone? It has been rumoured that the Samsung Galaxy S8 Plus might come with a Dual 12 MP primary camera and an 8 MP front camera. Will the phone come with a fingerprint scanner? Yes, the phone will come with a fingerprint scanner. Will the battery provided in the phone support quick charging? It is rumoured that the battery would support fast battery charging. Snapdragon 835 processor will definitely support Quick Charge 4.0 technology. PriceJugaad makes sense of data related to products sold by retailers at different places. It understands how prices vary with time, for each online/offline seller, and predicts future prices. It goes through thousands of reviews online and lists a gist of what people found attractive or repulsive, and things you might be interested in. PriceJugaad's data driven engine, pulls information from of sources and puts all you need to know at one place. So that you can instead focus on your buying decision. Effortlessly.